We offer a full-day academic program where students can successfully earn a middle and high school diploma following California State Standards through engaging and rigorous curriculum. We offer a variety of hands-on electives to engage student imaginations. Among our priorities is to develop college and work ready skills, as well as provide advanced education opportunities that broaden options to succeed in the 21st century. Students of Charter College & Career Prep faced off against students of Independence High School in a game of basketball on Thursday, Dec. 7th in the Charter Activities Building. 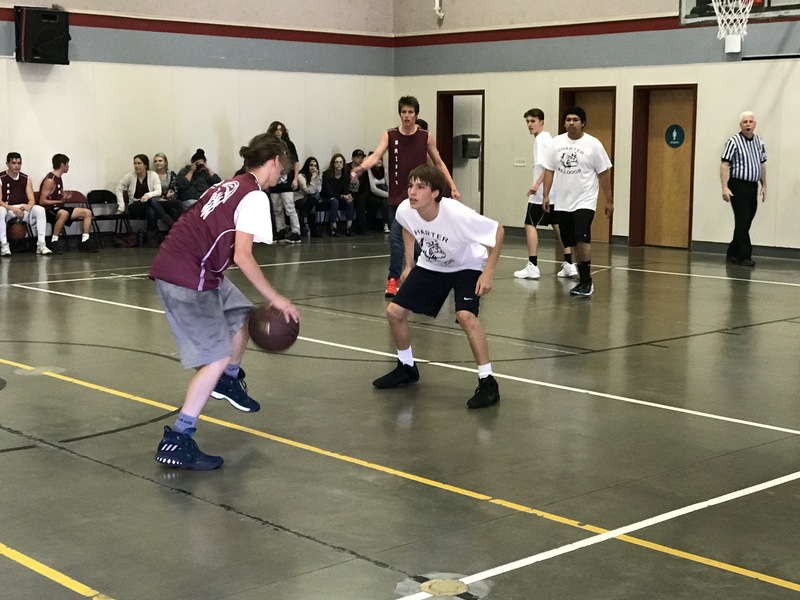 This semi-annual tradition is a friendly competition between two schools that do not have the typical athletics programs seen in high schools, with games occurring in both the Fall and Spring Semesters. 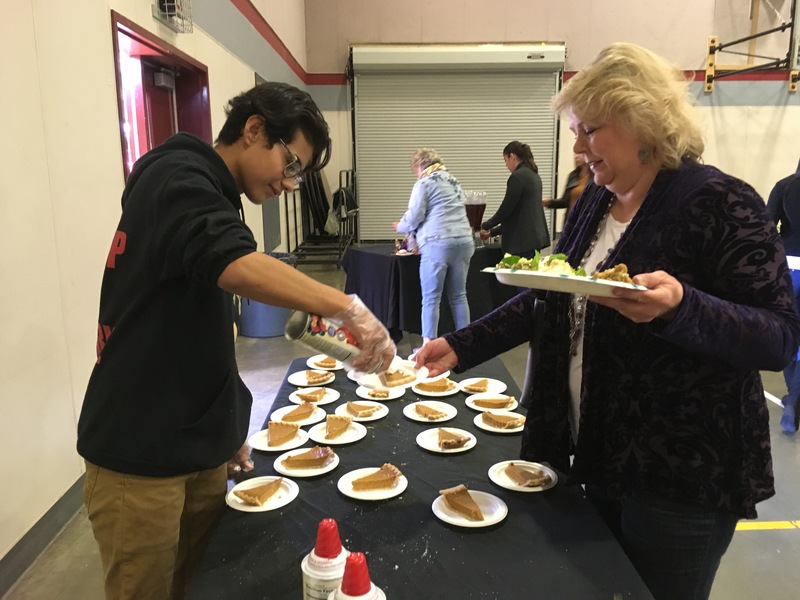 Charter College & Career Prep students have been training for months under the watchful eye of teacher/coach Jeff Bridges, and while the competition was fierce, Independence High School was victorious, followed by a pizza lunch enjoyed by all. More information about Charter College & Career Prep can be found on our website at ccp.edcoe.org or call (530) 295-2259. Charter College & Career Prep students (left to right) senior Julian Mancilla, junior Jacob Tudor, and senior David Garcia-Reyes displaying their defensive skills. We accept student enrollment throughout the school year. The process is easy. We first meet with you to discuss how our program functions. Then, if you decide that this is the program for you, complete the enrollment paperwork, and we will assess your student in order to place them in the best classes for success. To schedule an appointment, please call Melissa Concha at (530) 295-2295.